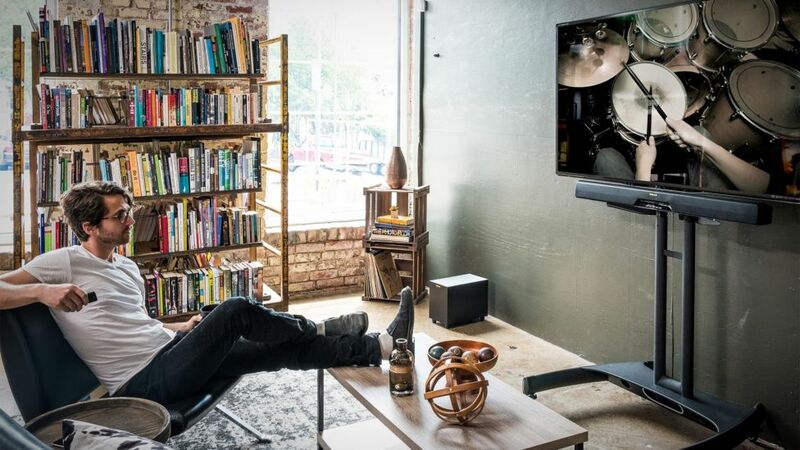 Klipsch is a US loudspeaker company that does not conform to typical loudspeaker design - they're all about live music, and getting their products to put you as close to the band as possible. Founded in 1946 Klipsch have found recent form, and they are going places. Watch this space for some new products under development that will transfer you to the centre of your favourite concert. Their recent partnership with Kings of Leon bears witness to just how serious they are about music. Klipsch AW525 Out-Door Speaker The AW-525 all-weather loudspeaker brings clean clear dynamic Klipsc..
Klipsch Klipsch AW-650 OutDoor Speaker Whether you want to enjoy your favorite music by the pool, o..
Klipsch Klipsch CP6 OutDoor Speaker The Klipsch Compact Performance Series CP-6 is a versatile spea..
As part of the re-introduction of the Forte III, Klipsch will memorialize the launch by offering two.. The KA-1000-THX subwoofer amplifier is the powerful driving force behind the new Klipsch THX® Ultra2.. The world’s most dynamic, powerful, detailed sound for your outdoor living space - The Pro-500T-LS l.. Housed in a lifelike landscape aesthetic and leveraging the same high performance acoustic design ph.. Your music doesn't have to be contained within the four walls of your home. The Klipsch Pro-650T-LS .. The R-2650-CSM II is the perfect sound solution for smaller areas that can only accommodate one phys..
By upholding the same best-in-class standards as all Klipsch products, the R-2650-W II loudspeaker m..
KLIPSCH REFERENCE R610F Description Standing at only 37" tall, yet able to produce deep bass ext..
Klipsch Reference R620F Description The Reference R-620F floorstanding speaker is packed with be..
Klipsch Reference R625FA Description Built with an elevation channel integrated into the top, th..
By upholding the same best-in-class standards as all Klipsch products, the R-2650-C II in-ceiling lo.. The R-26F floorstanding speaker is jam-packed with the best in audio technology for room-filling, au.. THE BEAST RETURNS! Featuring an all-new titanium compression driver, 90x90 compressed molded-rubber .. Description Standing only 34" tall and less than 8" wide, yet able to produce deep bass extension, ..
Klipsch Floorstander RP-5000F Description The Klipsch RP-5000F floorstanding speaker takes your ..
Klipsch Floorstander RP-6000F Description Leveraging over 70 years of acoustic technology, the K..
Klipsch Floorstander RP-8000F Description The Klipsch RP-8000F floorstanding speaker delivers in..